Ken Livingstone had claimed Hitler 'supported Zionism,' backed MP who called for mass-deportation of Israeli Jews to America. 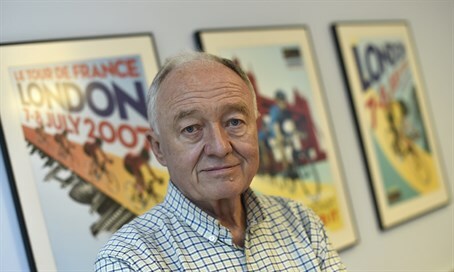 Former Mayor of London Ken Livingstone has been suspended from the UK Labour Party amid an extraordinary row over comments he made about Adolf Hitler. At least 11 MPs had joined growing calls for Livingstone to be suspended, after he defended Labour MP Naz Shah, who called for Israeli Jews to be forcibly deported to America. In his defense of Shah - who was herself suspended - Livingstone claimed that Adolf Hitler had also suggested deporting Jews to Israel, and "was supporting Zionism before he went mad and ended up killing six million Jews." The comments sparked an angry clash between Livingstone - who sits on Labour's powerful Executive Committee - and Labour MP John Mann, who heads the All-Party Parliamentary Group against Anti-Semitism. Livingstone was suspended for "bringing the party into disrepute," party officials said. He had been raked over the coals by other party officials and in media interviews, with questioners voicing their astonishment over both his language and claims he had never seen any evidence of anti-Semitism in the Labour Party. Labour has been embroiled in a seemingly never ending series of anti-Semitism scandals since hard-left MP Jeremy Corbyn took over as leader last year - from a Labour councilor praising Hitler as "the greatest man ever," to a senior local party official saying Jews all have "big noses" and "slaughter the oppressed", to name but a small number. The party was already facing criticism for Corbyn's seeming reluctance to take action against Shah when Livingstone - a key ally of the party leader - made his astonishing comments. “It is one hundred per cent certain that if the recent comments about Jews would have been made against any other minority, the person would have been immediately expelled from the party and considered persona non grata,” Dr. Kantor, said, in reference to the recent discovery of comments made by MP Naseem Shah, and other recent examples of Labour members making offensive comments about Jews. Meanwhile, a European Jewish leader questioned why the Labour Party was still so tolerant of the rampant anti-Semitism in its ranks. "Corbyn has to answer why there are special criteria for anti-Semitism as if it is somehow considered a more acceptable form of racism, discrimination and bigotry," said European Jewish Congress President Dr. Moshe Kantor. "No one can call themselves progressive if they regurgitate the worst ideas of the Nazis and other classic anti-Semites throughout history as many people associated with the Labour party have done recently."